After leaving Perth we took a short lunch break in York before burning over to Hyden and Wave Rock. Hyden is a little town originally named after a guy named Hyde but then they spelt it wrong when making the map. There’s nothing really there but a bunch of random touristy things like a miniature soldier museum, pioneer town, small wildlife park, etc. to complement Wave Rock. 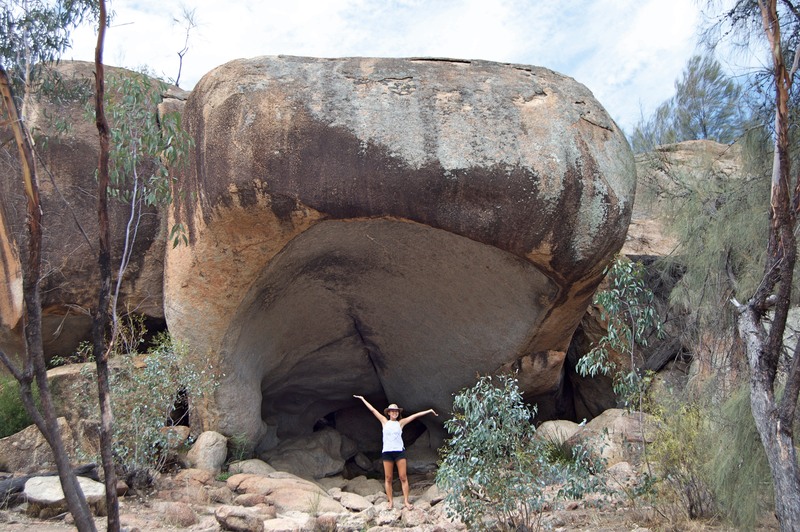 Wave Rock is a really big rock that is shaped like a wave due to erosion. 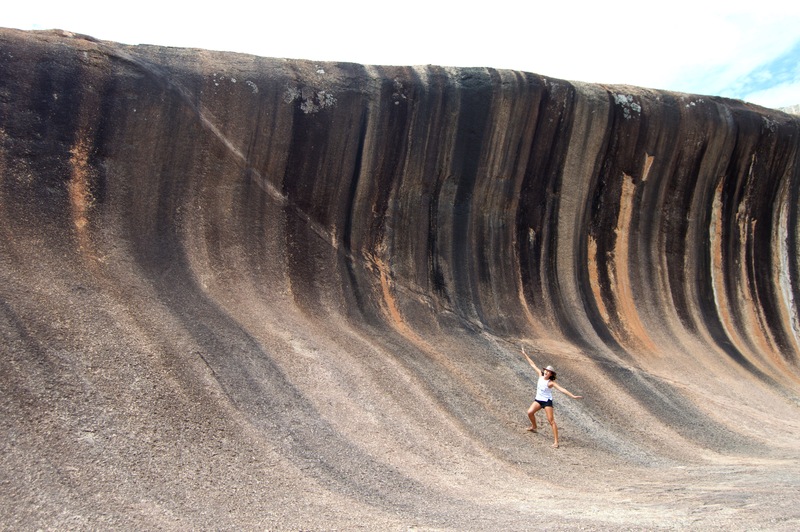 Obligatory “pretending to surf” photo on Wave Rock. 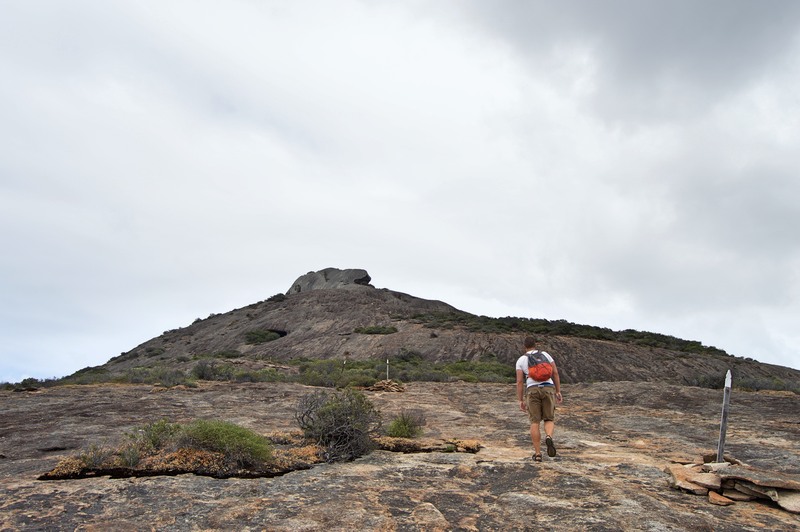 There are also some other rock formations in the area. Hippo’s Yawn was the nearest one so we took a short walk to check it out. It was more hippo-like than the Elephant Rocks (that we saw earlier in the Southwest) were elephant-like but Chris still wasn’t really impressed. Next it was down to Esperance. 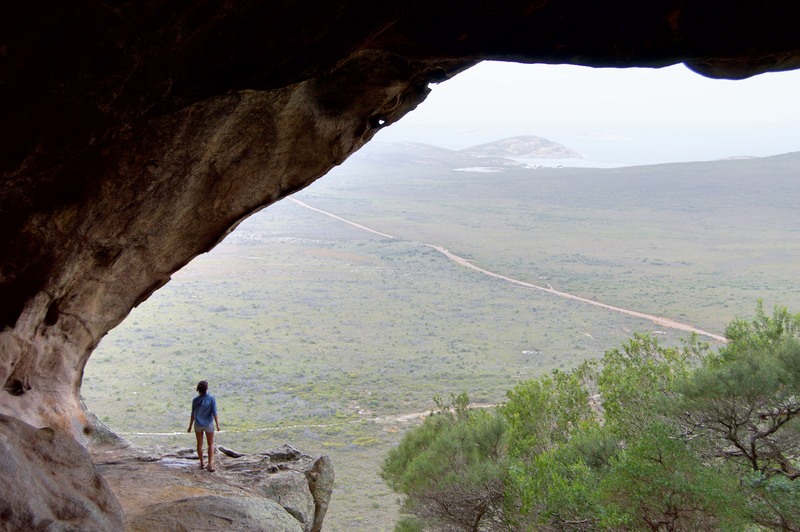 Esperance is a cute coastal town, but the main attraction is the nearby Cape Le Grand National Park, so we drove over to spend the day. 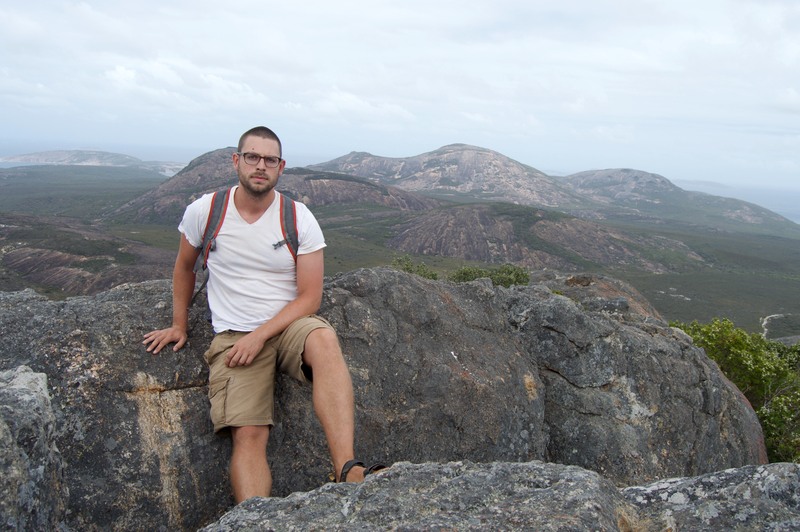 The park is about 30 minutes from town and our first stop was Frenchman’s Peak. Frenchman’s Peak is a small mountain you can clamber up and we figured we’d do it first to get the hard part out of the way. The hike wasn’t too long, but it was pretty steep in some in some places. 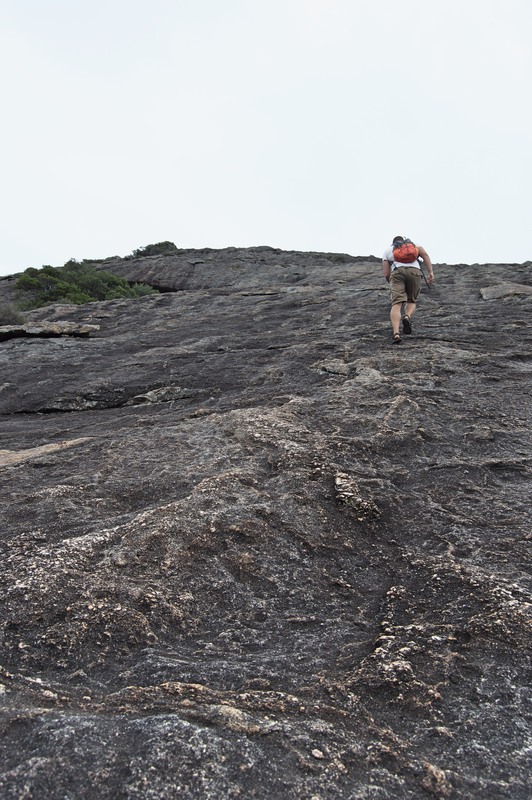 Fortunately it was a cool cloudy day, though the wind was a bit of an adventure on the steeper bits of mountain. Once you get to the summit there are some cool cave-type things to check out (basically the whole top of the hill is one giant arch), plus you can sit on the rocks on the very top. 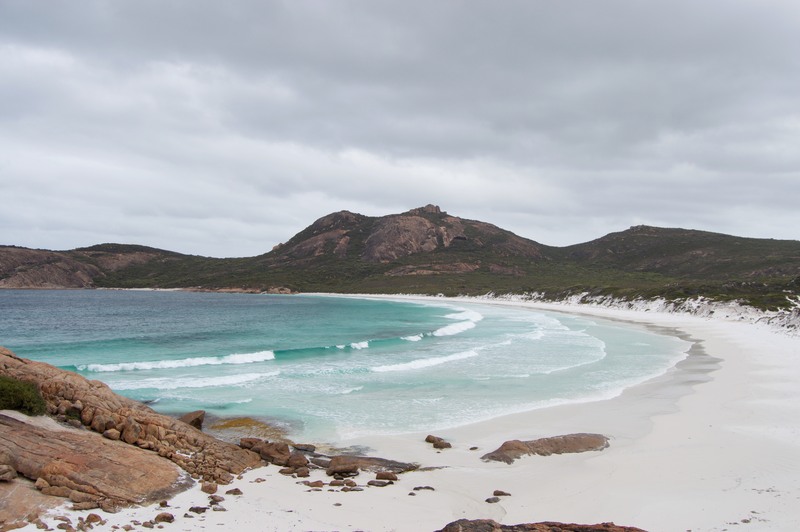 The highlight of Cape Le Grand is Lucky Bay. Lucky Bay is known as Australia’s whitest beach because of its sand, which is so fine that it squeaks when you walk on it (later we realized we should have made a sand castle to test its properties, but alas). 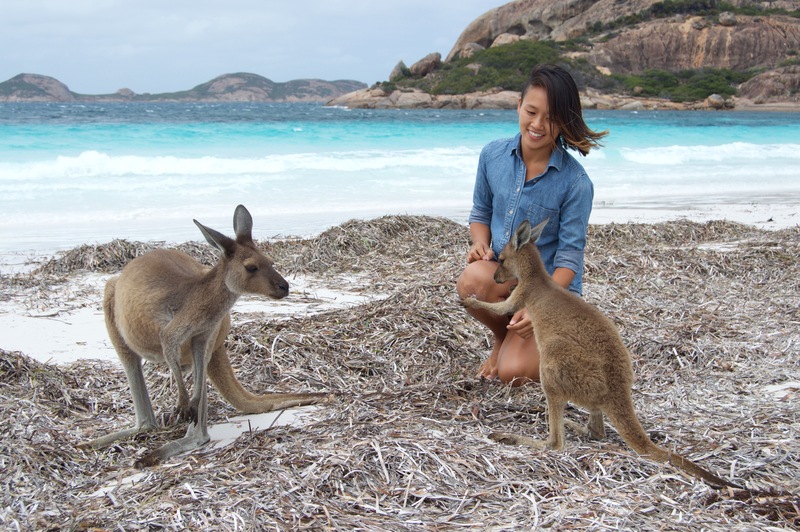 Most importantly though, Lucky Bay is a place where kangaroos hang out on the beach, seemingly mainly napping and scrounging around for food. The kangaroos there are also super friendly, I suspect because not all tourists obey the “no feeding” signs. They are so tame that you can pet them and get some excellent selfies. 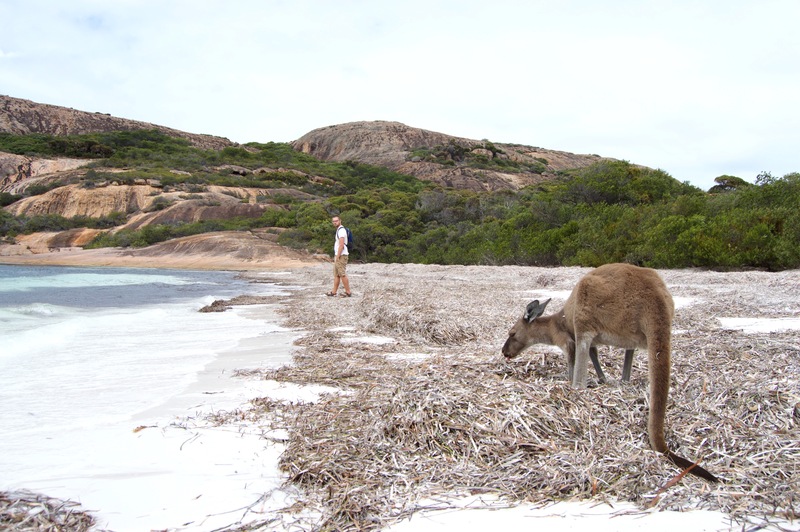 After we left the fuzzy kangaroos, we visited some of the other white sand beaches in the park – Thistle Cove, Hellfire Bay, and Cape Le Grand Beach. 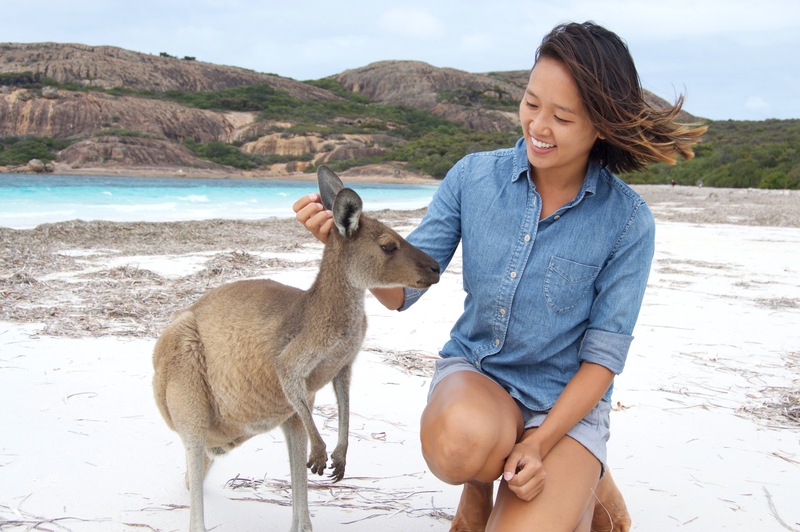 They were also lovely, but the lack of kangaroos made them less fun. Back in Esperance we did the Great Ocean Drive, which took us along the coast to various lookouts over the sea and a lot of beaches. So, I’m going to be honest here. 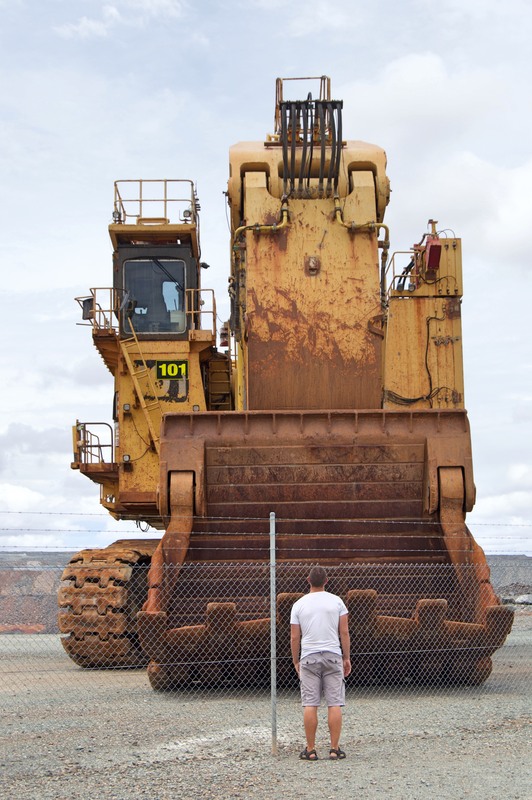 The main reason we went to Kalgoorlie was because we had watched a stand-up comedian on Netflix (don’t ask me who though, ask Chris) making fun of it because the big tourist attraction is a big pit. And it is! But there turned out to also be some other stuff to see. 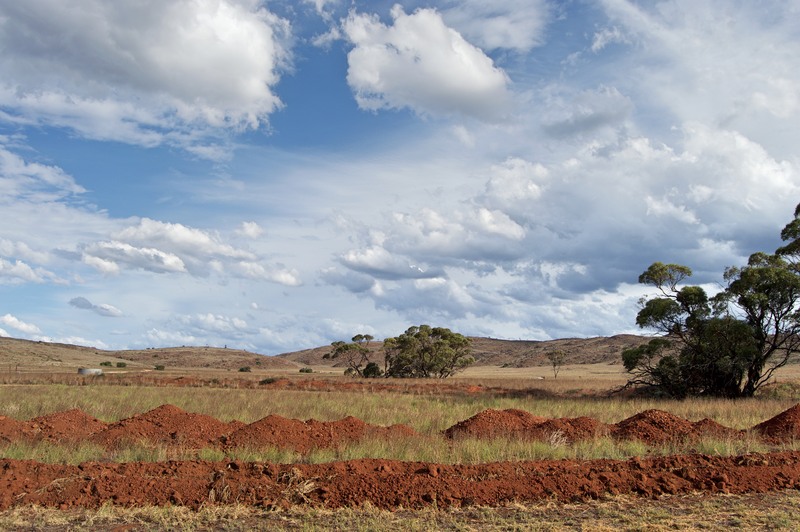 Kalgoorlie is a mining town that sprung up in the 1800’s when a bunch of gold was discovered there, known as the Golden Mile. All the buildings have that old timey look to them, some because they actually are old and some because they were built that way to keep with the theme. 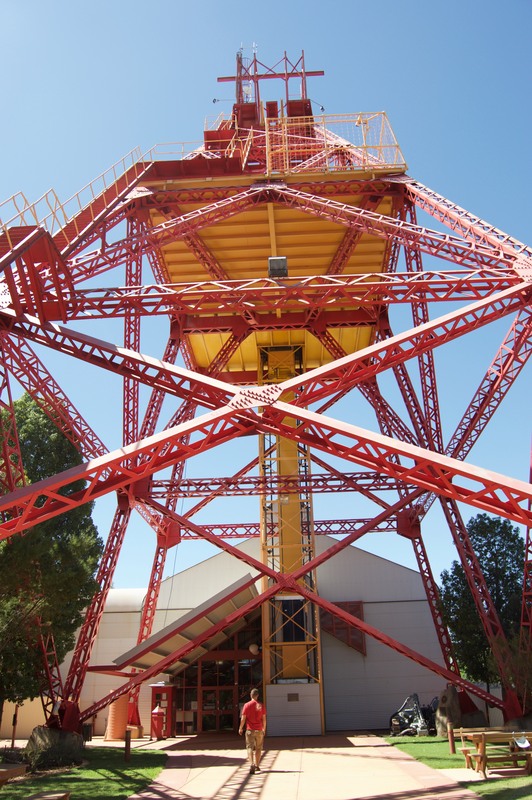 We were there on the weekend so the first thing we did was visit the local Sunday markets, and then take a stroll through the Western Australiam Museum, mainly so we could go up the big mining tower thing. 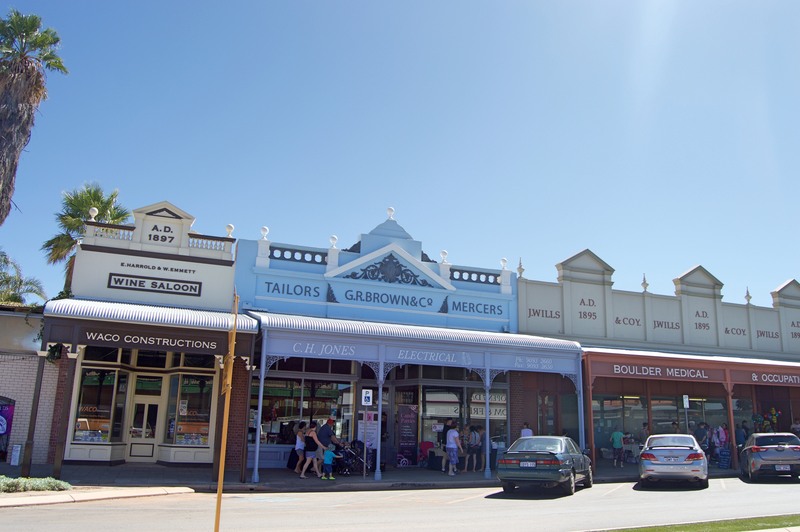 Since Kalgoorlie was built on mining, men used to outnumber women like a hundred to one, and as such Kalgoorlie was also known for having A LOT of brothels. 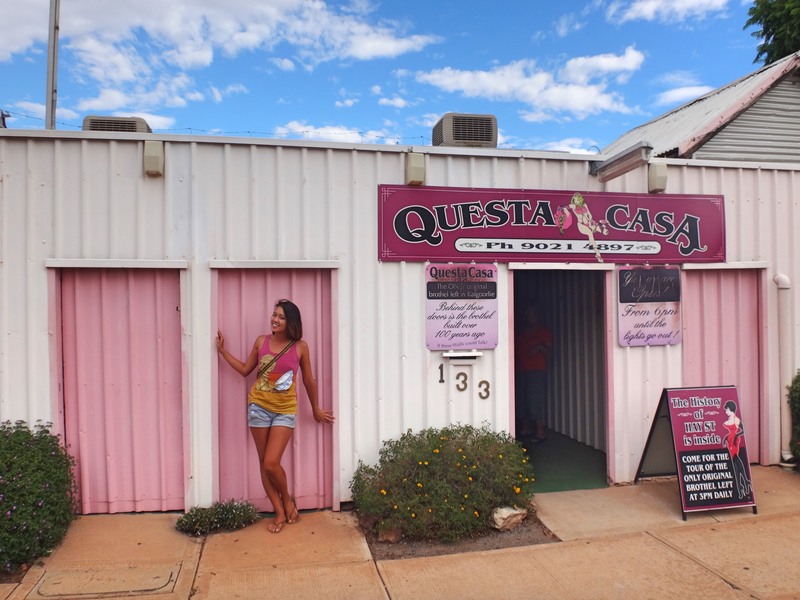 Most of them have gone out of business with the advent of mobile phones (and thus the ability to get girls to come straight to your house), but there are actually still two operational brothels in town, one which now offers tours during the day. Since Chris was super curious, we went. Back in the gold rush era when all the brothels sprung up, some legislation was passed to move all the brothels to one street and a policy of containment was implemented, meaning the girls could not leave the street unless supervised because this was considered soliciting. In addition, prostitutes couldn’t buy property in the town and girls from town weren’t allowed licenses to be prostitutes. This was meant to keep Kalgoorlie a safe family town (because you wouldn’t bump into any townswomen when visiting the brothel street, and you wouldn’t bump into any prostitutes outside of the brothel street), and also had the side effect of making Hay Street, the designated brothel zone, the most happening area of town on any given night. The brothels where characterized by their “starting stalls”, a series of doors along the front leading to rooms in which girls stood. Basically the idea was that if a guy saw a girl he liked, he could go into their stall (where they were still separated by a small fence) and they could negotiate their transaction without anyone else on the street seeing (the girl could also decline him if he looked like a creeper or whatnot). Times have changed since then, but the starting stalls are still there (also, pretty sure someone came up to the door looking for a girl during the middle of our tour). Anyways, the tour consisted mainly of Madam Carmel showing us some rooms for sexytimes and telling numerous NSFW stories. The madam has a strong posh English accent and adorable tiny dog so she is quite the character. She used to live elsewhere but bought the brothel after her doctor told her to go out and do things to be less depressed. The doctor was quite surprised when she learned that her patient had bought a brothel on her advice! I think Chris and I both learned some things on the tour. 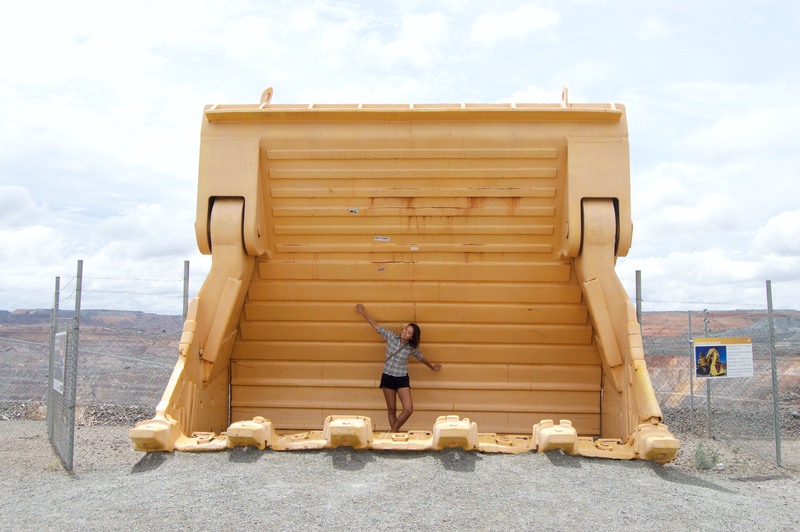 On our last day in Kalgoorlie we figured we had to see the fabled pit. 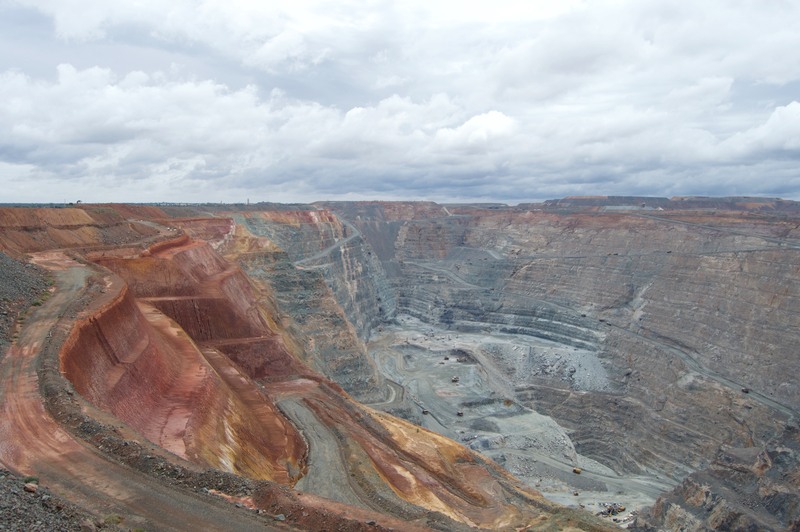 It is actually called the Super Pit, and is an enormous open cut mine. It’s pretty impressive considering its size, although all I could think about was what they were going to do with this huge hole when all the gold was dug up (I vote amusement park). All the trucks in there are each $4 million and the big excavators are $18 million. There also seemed to be a chance that they were going to blow some stuff up later that day, but we didn’t want to wait. 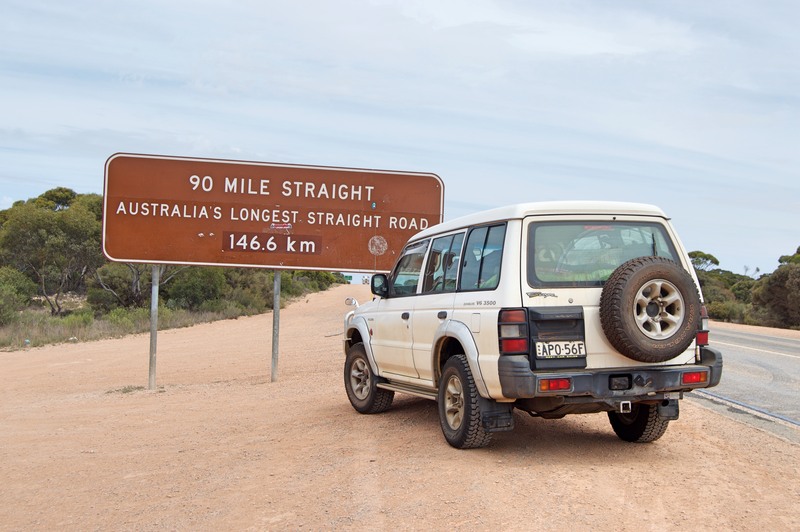 After Kalgoorlie, it was time to cross the Nullabor! We took a brief stop at Norseman (named after the horse who stepped on a piece of gold, triggering a gold rush to the area), the last town before getting on the highway. 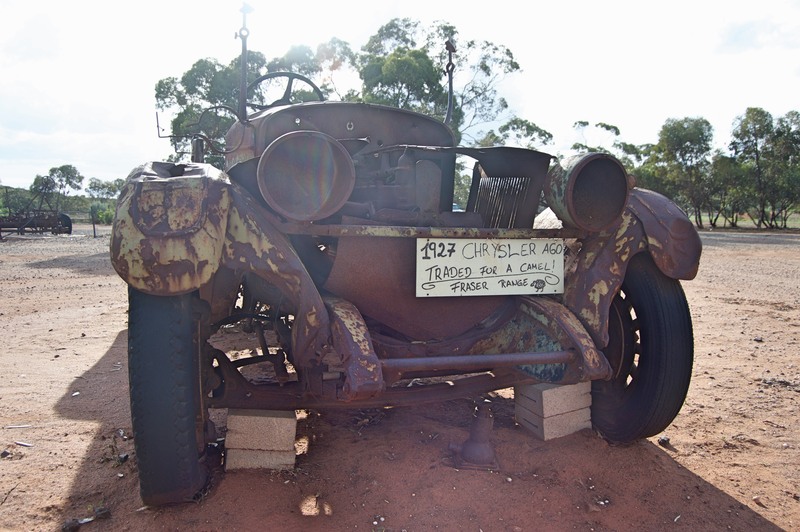 We didn’t make it too far since we had spent the morning at the Super Pit, so we stopped at the super cute Fraser Range Station for the night. Skies over Fraser Range Station. A car traded for a camel. After that we passed a couple of road houses and the longest straight stretch of road in Australia, at 90 miles/146.6 kilometres. 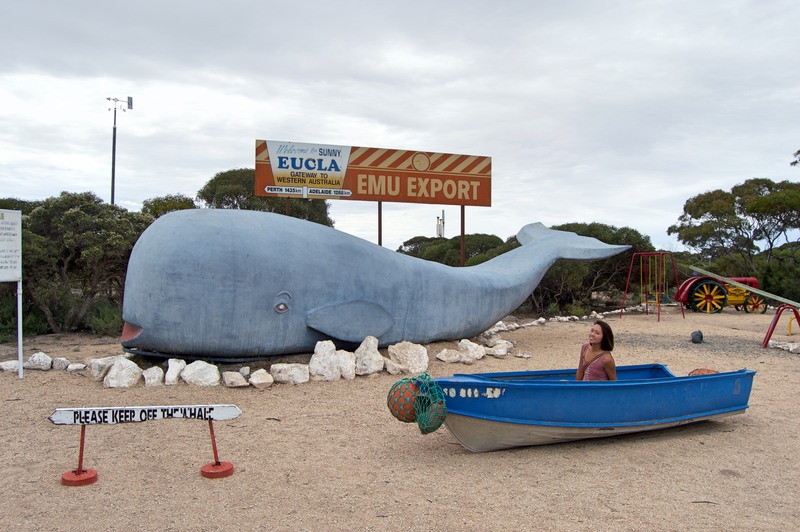 We decided to stop in Eucla for the night, which has a nice campground and motel but not much else. The most exciting part of this trip segment was that for some reason this stretch of three teeny towns on the highway is in a different time zone than everywhere else in Australia. It’s not an officially recognized time zone but everyone in the area (i.e. all of like 30 people) adhere to it. Weirdness. After that it was time to head in to South Australia and officially cross the Nullabor. Nullabor comes from “null arbor” i.e. no trees, because it is a big treeless plain. So basically a desert. 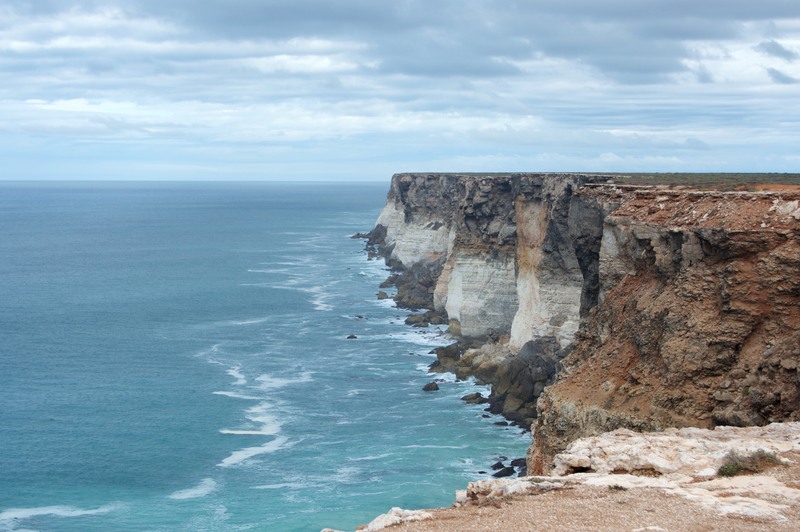 It’s along the Great Australia Bight however, so there are numerous places to stop along the way where you can look out over the huge cliffs. No whales at this time of the year, but the views were still pretty impressive. 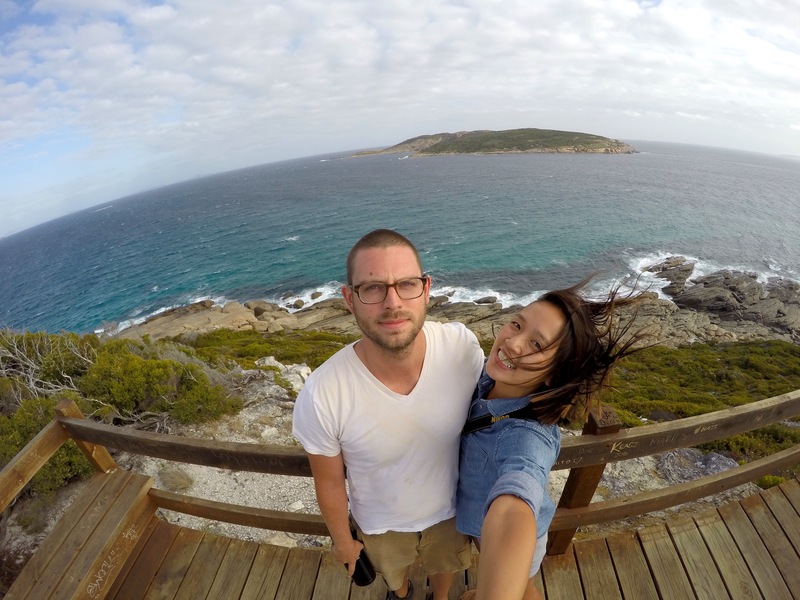 Nevertheless, we were excited to reach the Eyre Peninsula and see civilization again.